Summary: Three T-Head Groynes were planned and designed to stabilize the beaches following sand placement. 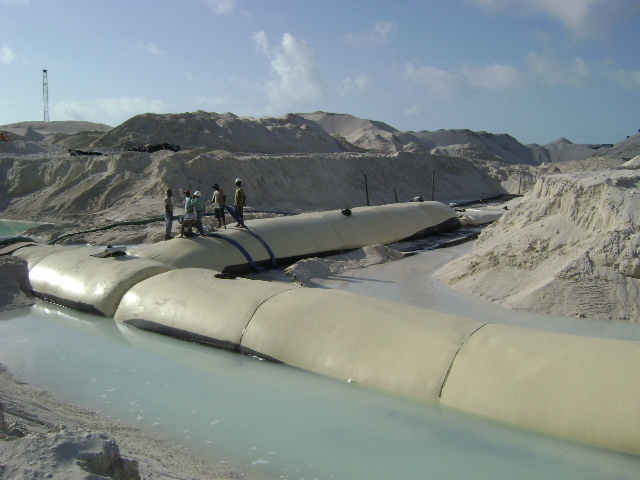 These structures were designed to reduce sand losses to the adjacent inlet and diminish erosion rates, thereby providing increased longevity for the recently completed beach nourishment project along a 4,000 ft length of shoreline. 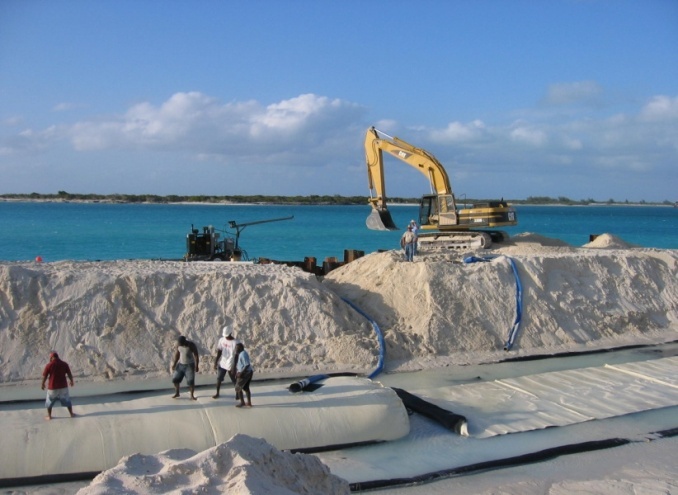 The beach nourishment project element was completed in 2004 to restore a severely damaged segment of shoreline adjacent to Leeward Pass. Monitoring of the shoreline, borrow site and adjacent beaches has been performed at six month intervals and will be continued for a three-year period.